When God allowed Charles E. Brumfield, Jr., to be born to Charles E. Brumfield, Sr., and Eddie J. Walker; He purposed a gift to the Body of Christ.It was in the Baptist church where he was first introduced to God at the St. Mary Baptist Church and it was at the Galilee Baptist Church where he accepted Jesus Christ as Lord and Savior under the leadership of Pastor Willie L. Kelly, Sr. It was noticed at a young age that he had a different spirit than others around him and that mantle holds true to this very day. It was at the age of fifteen (15) he accepted the calling of God upon his life to preach the Gospel at the new defunct Living Word Baptist Church under the leadership of Pastor Michael R. Mack, Sr. It was at the age of sixteen (16) where He was introduced to the Baptism of the Holy Spirit with the initial evidence of speaking in tongues at Tabernacle of Praise under the leadership of Pastor Cynthia Hart. God allowed several ministries to help develop his character into the Spiritual Leader that he has become. He received valuable impartation from Sweet Home Baptist Church and Pastor Charles E. Hart and at the Galilee Baptist Church and Pastor Warren D. Richard. Although a gifted preacher there was still a void in his ministry that had to be filled. It was then the Holy Spirit allowed him to join the Beacon Light Baptist Church of Hammond, La where Bishop Darryl S. Brister was Apostle/Overseer and where God gave Pastor Brumfield his covenant connection through the person of Bishop Darneal F. Johnson, III. Bishop Johnson developed not just the preacher, but the untamed leader and ultimately the Pastor. 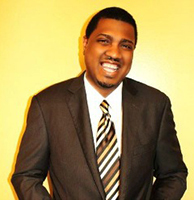 He also is fathered by Bishop Darryl Winston and Elder Samuel R. Blakes to unknown bounds of ministry wisdom. 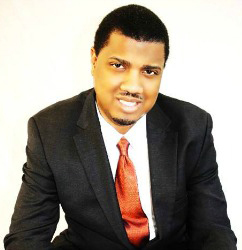 Pastor Brumfield is a man of learning and is a licensed attorney in the State of Louisiana. No matter what the temporal label is attached to Pastor Brumfield he is dedicated to seeing the lives of people changed and is dedicated to allowing people to experience our Eternal Father in fresh new ways.